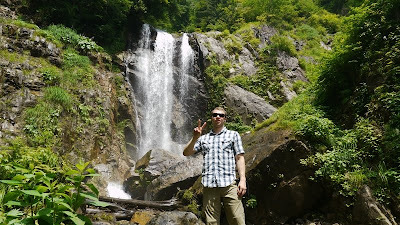 We went to another short tour to Shirakawa-go - Amou wetland. 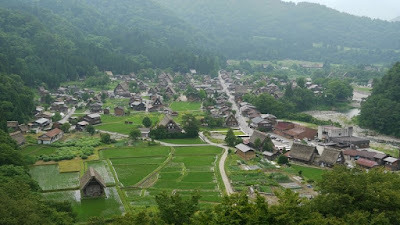 At first, we went to a UNESCO World Heritage Shirakawago Village. The village was designated as a World Heritage in 1995 for the unique traditional way of houses' architecture called "Gassho Zhukuri". 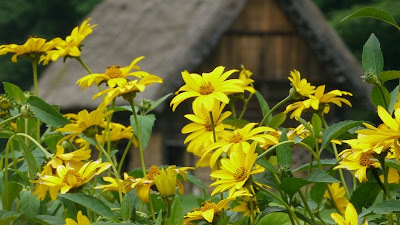 People are still living in the fantastic houses and Shirakawa-go is a "Living Heritage". Some of the houses are museums at the same time. You can enter with a small fee (300-500 yen) and learn the history of the village and the features of the houses. Some run inns (Minshuku) and it may be a good idea to stay one of the inns. The rates are quite reasonable (6000-9000 yen pp/pn for a private room with 2 meals). 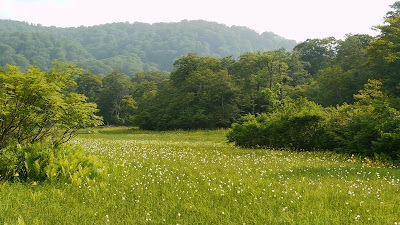 Amou wetland is about 10km east of Shirakawago. There are 3 waterfalls on the way. We can approach the second one quite closely. One of the 3 Amou waterfalls. The other 2 falls are not aproachable. After some sharp turns of the mountain road, we arrived at Amou Wetland. We need to pay 500 yen pp as a maintenance fee. There are some walking routes in the wetland. We can also climb Mt. Momi-nuka on the other side of the wetland, if you like. 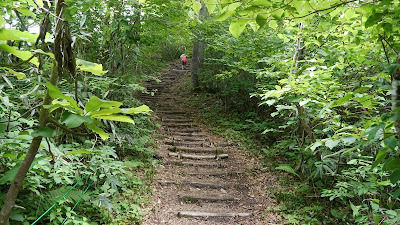 It is around 4 hour hike if you climb the mountain, otherwise, we can enjoy around 2 hour walking on the boardwalk in the wetland. variety of trails attracted me much. 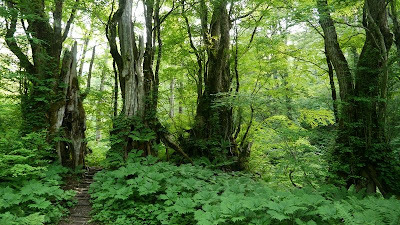 Around the wetland, we saw some old-growth beechen forests and Katsura forests. Even though 2/3 of Japan is mountains, it is not very easy to see a beautiful natural scenery. We walked though those interesting native forests, crossing some small stream (too clear!) and took a rest by some bogs with full of small flowers. is called in English.It looks kind of spiritual. Unfortunately, there is no way without a car or taxi. 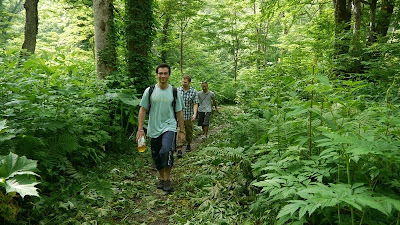 J-hoppers Hida Takayama Hostel sometimes organize one-day tour with a small fee. If you want to feel real Japanese nature, please come over and kick the reception in the back !